A £30million redevelopment of Manchester’s Corn Exchange has brought a breath of fresh air to this food hub to the centre of the city. Located in the heart of Manchester and close to Selfridges, Harvey Nichols and the Manchester Cathedral, the Corn Exchange is the perfect place to head for a food-filled night with friends and family. 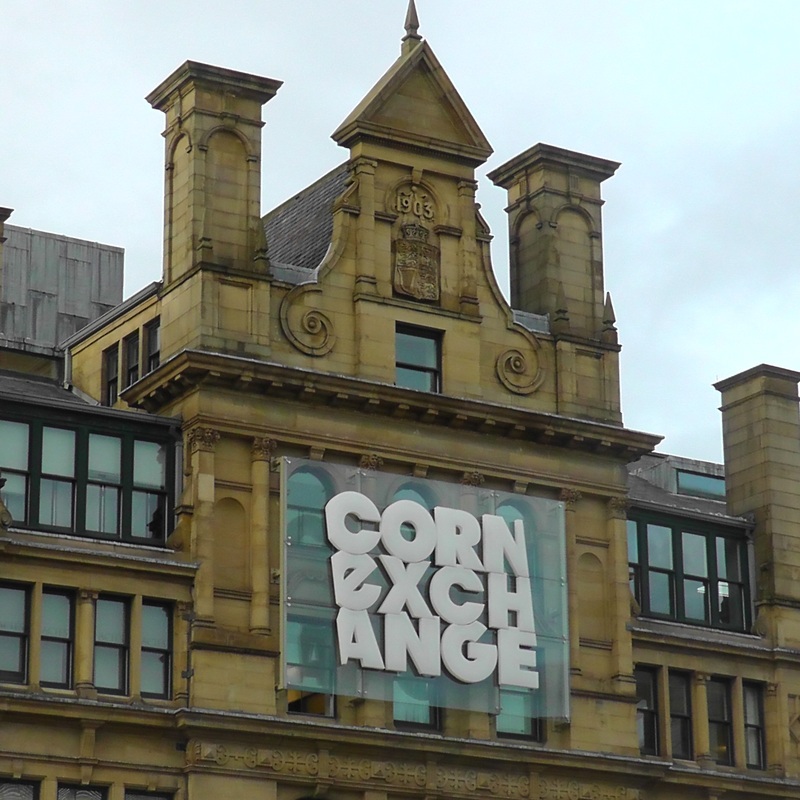 The Corn Exchange has played a significant role in Manchester’s industrial history. The first exchange was built in 1837 before being demolished and replaced with the current building in 1897-1903. It was the location for thousands of corn and produce traders until the economic depression in the 1930s. In the early to mid 90s, the building became home to local businesses until damage from the IRA bombing in 1996 forced the closure and redevelopment of the building. It has since been a mixed retail and hospitality venue until its most recent redevelopment. Some of the Corn Exchange’s favourites have returned to their original haunt, including the new-look Tampopo that relaunched earlier this month. There are also some exciting new arrivals including Pho, Wahaca, Mowgli and Bryon Burgers. No matter what sort of food you’re craving, there’s something for everyone at the Corn Exchange. You can even pucker up and get into the Christmas spirit at the Kissing Quarter – complete with mistletoe! Don’t forget to spread the love by tagging your photo with #xmaskiss and you could win prizes from the Corn Exchange restaurants.